A #MeToo backlash is brewing behind office doors. Nearly half of male managers said they were uncomfortable "participating in a common work activity" with a woman, according to a recent survey from LeanIn.org and SurveyMonkey. Almost 30% of male managers said they felt uncomfortable working alone with a woman, and male leaders were more than three times as likely to hesitate to have a work dinner with a more junior woman than with a more junior man. "The last thing women need right now is even more isolation," Facebook COO Sheryl Sandberg wrote in a Facebook post. "Men vastly outnumber women as managers and senior leaders, so when they avoid, ice out, or exclude women, we pay the price." 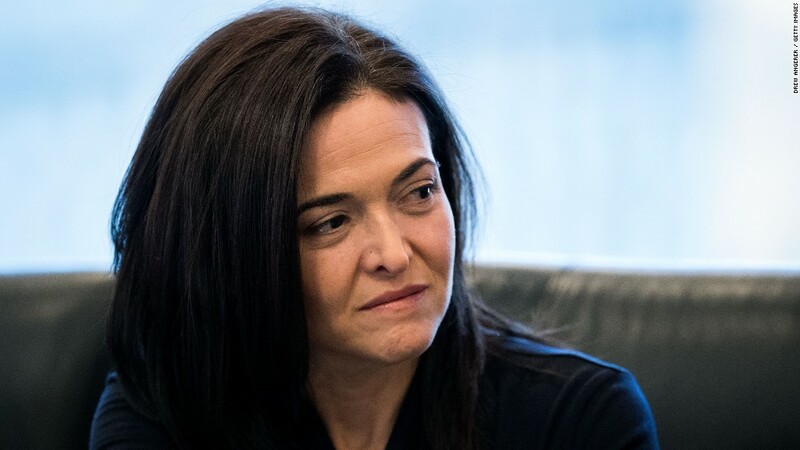 In response to the survey results, Sandberg and her Lean In Foundation announced #MentorHer, a campaign encouraging male executives to publicly promise to mentor women and foster female leadership. CEOs from companies like Unilever, Oath and others posted on social media in support. General Motors Mary Barra tweeted that "Some of the best advice I received was from male mentors who encouraged me to speak up in meetings and to take leadership roles." Rachel Thomas, president of LeanIn.org, said the survey came from frank conversations she and colleagues had been having with male leaders. "We kept hearing from men, 'I want to be part of the solution, not the problem, but what does that look like for me? I hate to say it out loud but I'm more nervous traveling one-on-one with a woman than with a guy,'" she says. "And what we wanted with this campaign is to shine a light on the unintended consequences of that, which are actually quite harmful to women, given that men do hold most positions of power." Successful female leaders often rely on support from mentors and sponsors as they climb the corporate ladder, and often that support comes from men, according to Amanda Moss-Cowan, assistant professor of management at the University of Rhode Island. "There's not a big network [of female leaders] at the top to pull women up yet," she says. In addition to encouraging men to publicly support mentoring women, Moss-Cowan suggests companies and leaders reimagine their ideas of mentorship. A man's path to the C-suite could entail rounds of golf with the clients, dinners with the boss or whiskey tasting with the firm's next up-and-comers. But women, she says, instead turn to mentors for more practical help, like tips or leads, or psychological support, like a sympathetic ear. Moss-Cowan suggests some approaches beyond the usual one-on-one, in-person meetings. Approaches that can better suit the male mentor-female mentee dynamic could be mentoring groups or networks of female employees connecting women to peer mentors or even exploring the world of virtual mentoring via Skype or chat. "If what women really need is support — getting promoted — then it doesn't really matter if you're going out on the golf course together," Moss-Cowan says. "What you need is someone putting in a word for you."